Grasshoppers are herbivorous insects of the suborder Caelifera in the order Orthoptera. Insects have antennae that are almost always shorter than its body and also have a short ovipositor. 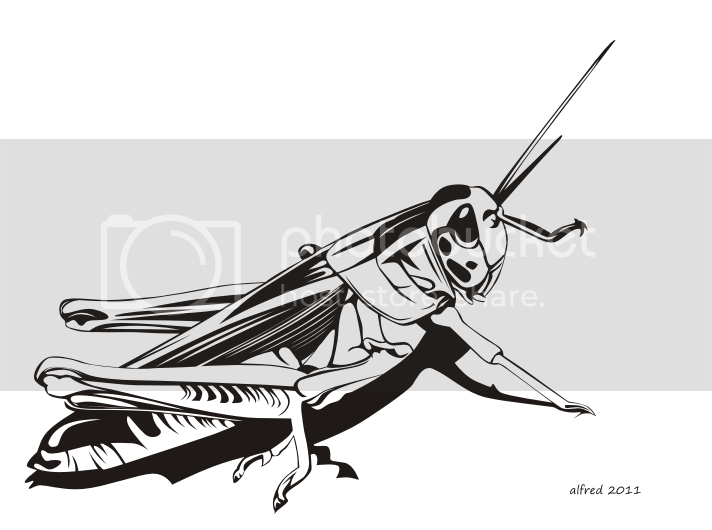 Sound generated several species of grasshoppers are usually produced by rubbing against the femur behind the front wing or abdomen, or because the flap of its wings when flying. Femur length and strong behind generally suitable for jumping. Insects are generally winged, although the wings sometimes cannot be used for flying.